I remember being ashamed to show my face in my active addiction. I was ashamed of who and what I had become. I didn’t want people to see me that way. So I made it my business to isolate myself from my family. I used to look in the mirror and cry. I was horrified at what I saw. I was embarrassed at what I turned into. I didn’t even recognize myself. That person (thing) looking back at me wasn’t even a shadow of my former self. In the end I was a lost soul. I stopped looking at the monster in the mirror. I didn’t want to see myself. I saw all the looks I used to get when I was on the train and at work. But even those embarrassing moments weren’t enough to make me stop. No not me. I just got a attitude, more anger and resentments. When I came into recovery, before I truly understood that I could get the help I so desperately needed. I was ashamed of my past. I was ashamed of telling anyone my story. I sat in the meetings and I punched holes and scrutinized everything I heard. I was afraid of more judgement so I sat in silence and I suffered alone. I remember feeling conflicted when I heard things that I could relate to. I still couldn’t bring myself to tell my story. It took me some time to start to see that my past couldn’t hurt me anymore. I had to learn the hard way to start seeing how far I have come instead of how far I had to go. After several relapses I began to understand that I was making progress. That I was changing and that I couldn’t compare my process with anyone else’s. 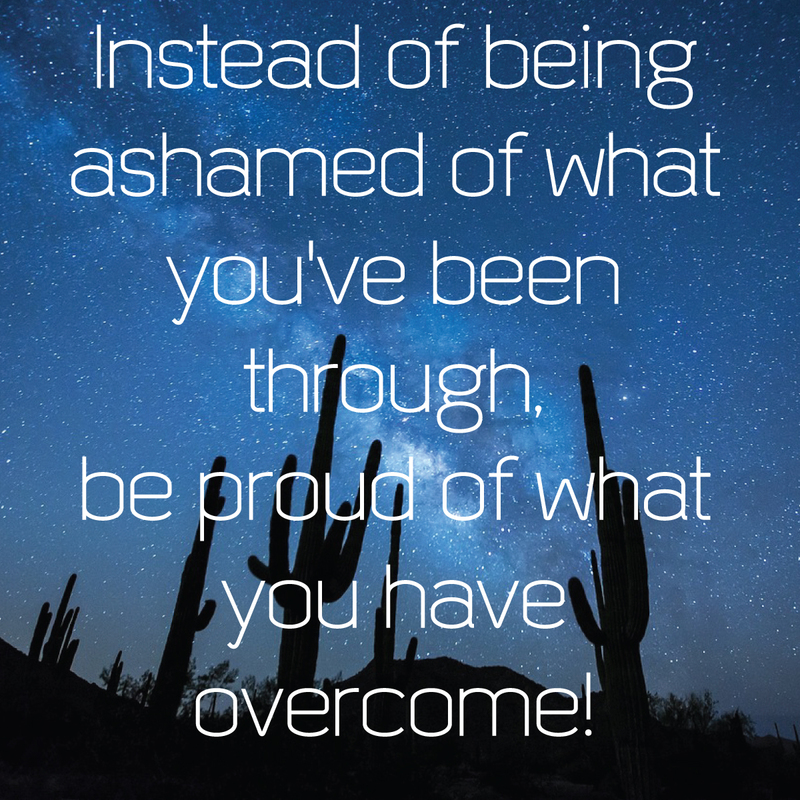 I began to understand that I had to stop being ashamed of my past and talk about it. I began to understand that I was only as sick as the secrets I kept. I took the risk and exposed some things that I was feeling and so my process began. Looking back I see that my being ashamed held me back. It stopped me from being able to see how far I had come and all the things I had overcome. Fear kept me locked and loaded in my vicious cycle. Today I am no longer ashamed. I see that my struggle gave me the strength to survive. I share my experiences openly without fear of judgment. There’s nothing that I share that anyone can hurt me with. I’ve already done that myself. I am experiencing a freedom that cannot be adequately described in words. I can only say that I have never lived this good. My gratitude for the recovery process is through the roof. I can see where I’ve been very clear, I can see what I’ve overcome even clearer. I am damn proud of my accomplishments. I wish that everyone can experience this feeling. This entry was posted in 2015 and tagged addiction, gratitude, recovery, shame. Bookmark the permalink. Thank you. I appreciate you sharing your identification. I am grateful that my sharing my experiences are encouraging. Keep up the great work. Have a blessed day. Absolutely Vicky. Grateful for the change. Have a great day my friend.